THE B-MOVIE NEWS VAULT: Scream Factory's SHOCKTOBER is here! Plus: Watch the new trailer for EASTER SUNDAY and Dr. Gangrene's DREADFUL HALLOWEGREEN SPECIAL! Scream Factory's SHOCKTOBER is here! Plus: Watch the new trailer for EASTER SUNDAY and Dr. Gangrene's DREADFUL HALLOWEGREEN SPECIAL! Halloween will be here in just twenty-five days and everyone is getting into the spirit of the season! Scream Factory just kicked off their annual SHOCKTOBER SALE, with a multitude of their titles available at reduced prices. You can check out their weekly sales HERE, or take advantage of their STONE COLD DEALS which will last all month long! 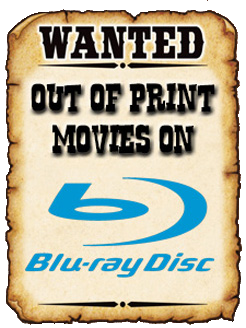 Don't put this off fellow collectors; it's time to fill those gaps in your Scream Factory collections! On October 16th at the FOUR STATES SLASHER CON, writer/director/actor Jeremy Todd Morehead will premiere his new comedic slasher flick, EASTER SUNDAY. Featuring Ari Lehman (the first Jason Voorhees) and the late Robert Z'Dar (the MANIAC COP trilogy), this indie horror flick has partying teens resurrecting the spirit of a bunny-masked murderer. Well.... if it's one thing we've been lacking in the Horror genre, it's Easter-themed fright flicks! Scope out the trailer below! Finally, to help get you in the holiday spirit, here's a fun little Halloween special featuring TV horror hosts Penny Dreadful and Dr. Gangrene! Both hosts must work together to save Halloween before it is lost.... FOREVER! And as an added bonus, here's a new Halloween PSA from Dr. Gangrene, chock full of safety tips for all you trick or treaters! That's it for now, but expect more news and fun Halloween-oriented posts as we inch closer to our all-time favorite holiday!